Contact details are important for online stores to increase buyer confidence and enable customers to reach out to you. Get creative with your contact page layouts! This article will guide you through the steps to add contact details and form to your store. To make a new page, go to Content Management in your administration, and select "Pages". Once you have created a page, you will be able to start setting it up. Name the page with the title you would like to see in your administration and on the storefront page itself. "Activate" the page when you are ready for it to be published! You can add your page to the menu under the same or a different title; indicate that in this section. Then, you can set the navigation position in the menu. The "template" refers to how the page should look. Select from a variety of layouts which your page can have, like how many columns should be added, and whether or where the sidebar should be. PRO TIP: Add a contact form for added convenience too! SEO is important for search engines. By default, the URL and page title will be the same as the Page Title you set earlier (in step 2.1). 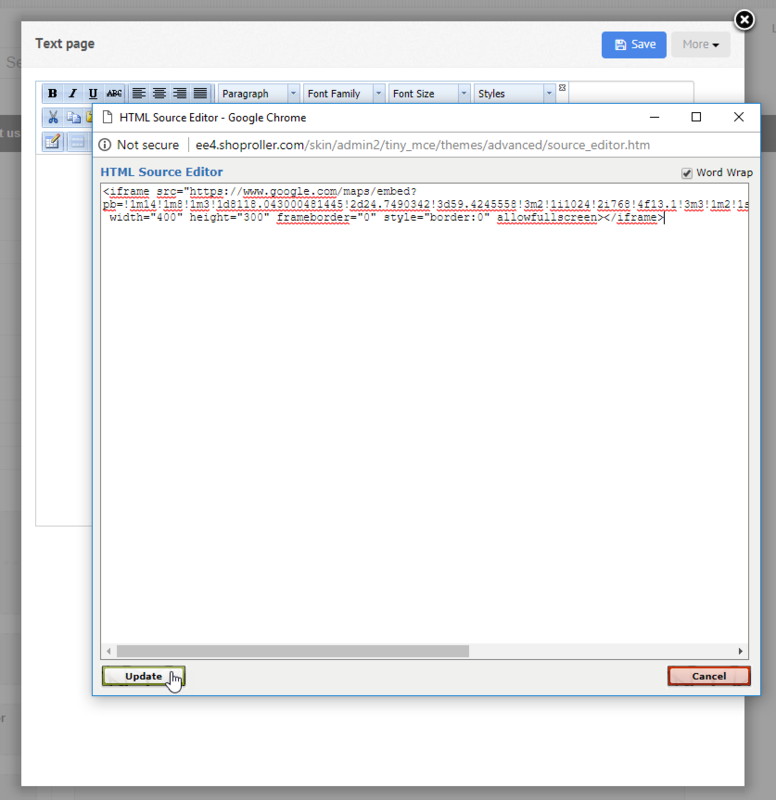 Keywords can be added by writing words and short phrases, separated by commas. 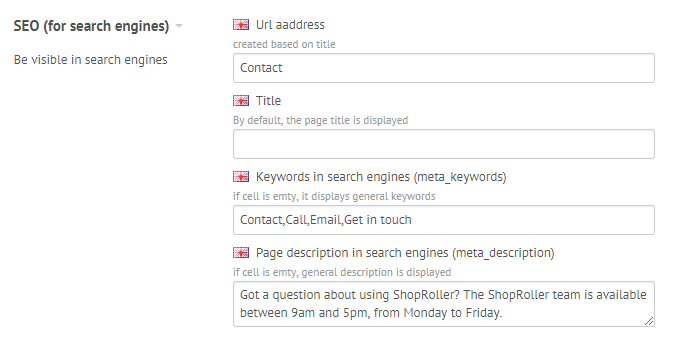 The page description should be added, to be seen as a preview when potential customers are using a search engine. When you're done, hit SAVE! Now that the settings have been configured, you can begin to add the content your customers will see. When you are logged into your account, you will see setting icons (cogwheels) on your storefront. Adding Google Maps is a great way to get customer's to visit your physical store or market. 5. 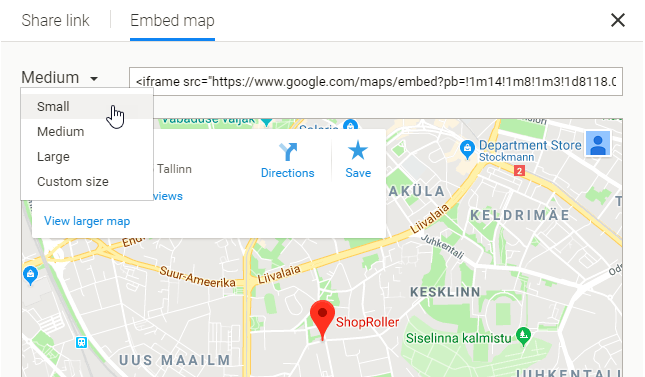 Copy the "iFrame" URL from Google Maps, to be pasted in your ShopRoller account. 8. Click UPDATE, then in the Edit Page window, click SAVE. Configure and add an email address for all the feedback from clients (from the contact form). From your administration view, select SETTINGS, then click SETTINGS again. Congratulations! You now have a contact page with contact form.